I hold a B.S. 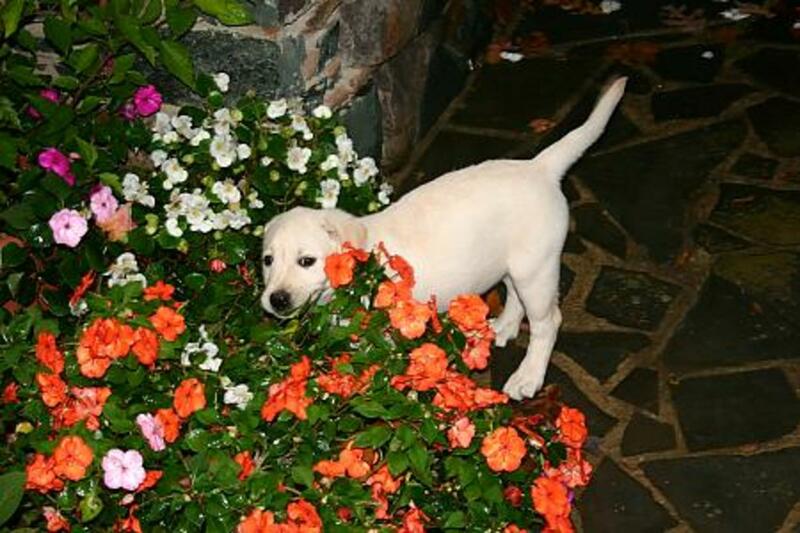 in Landscape Architecture from Iowa State University and have over 25 years of professional practice. I now volunteer. 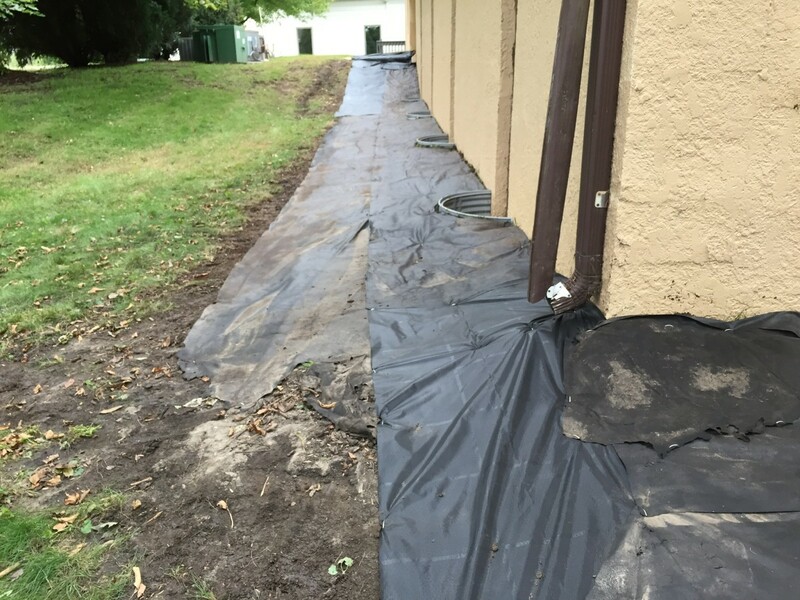 Through the years, soils surrounding a building’s foundation tend to sink thereby causing rainwater to pool. 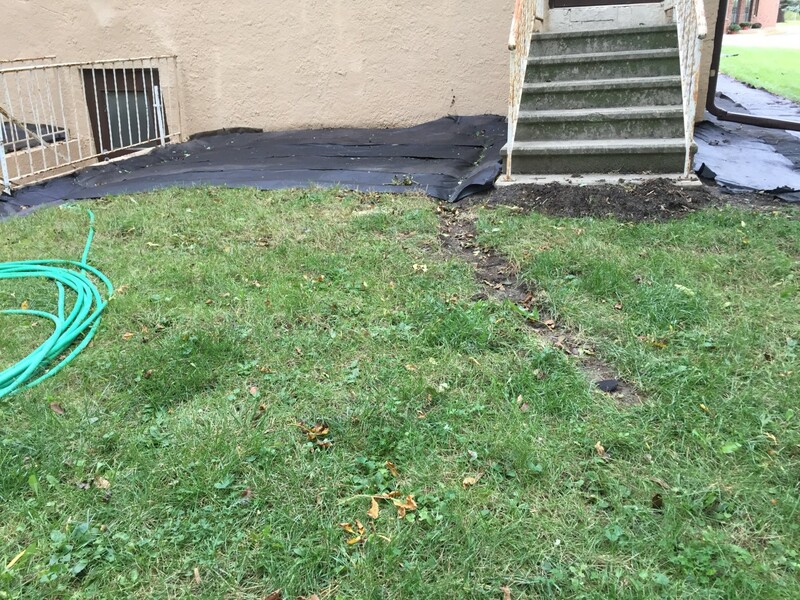 This pooling effect can cause foundations to crack and water to enter. 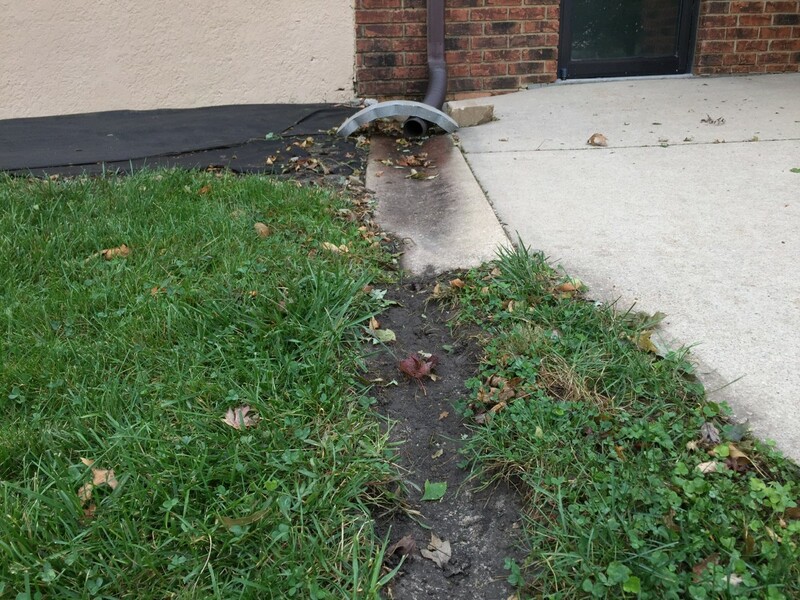 This problem is easier to remedy if the foundation does not have plantings around it. 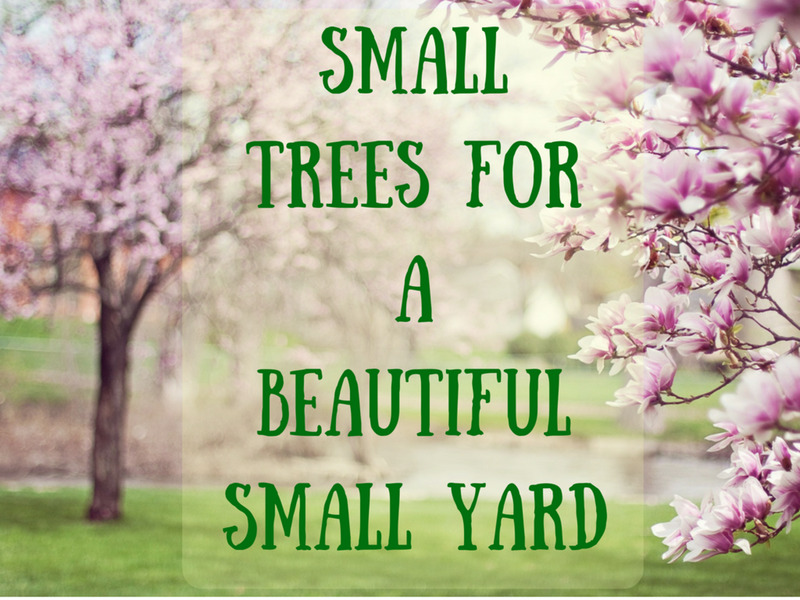 If it does, working around the plantings will be necessary. 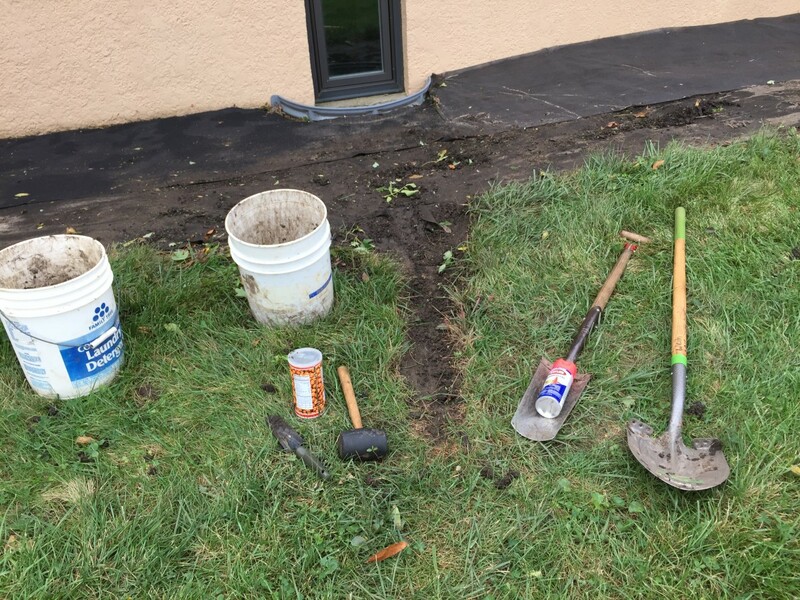 In this article, I cover the work I did to rainscape, working the landscape to direct rainwater, at Grace Community Church, Cedar Falls, Iowa. 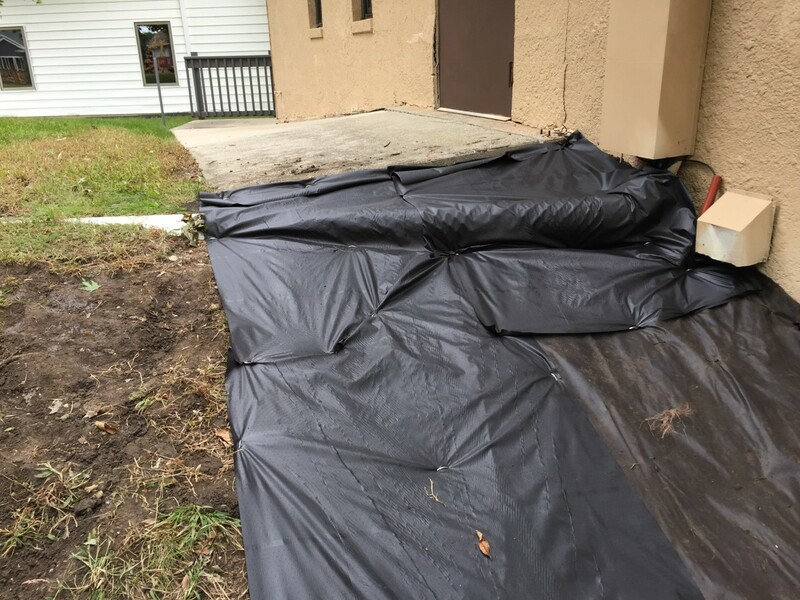 The photos in the article show the west, east, and south sides of the church which do not have any plantings around them, but it was mulched many years ago with landscape fabric and shredded wood mulch. 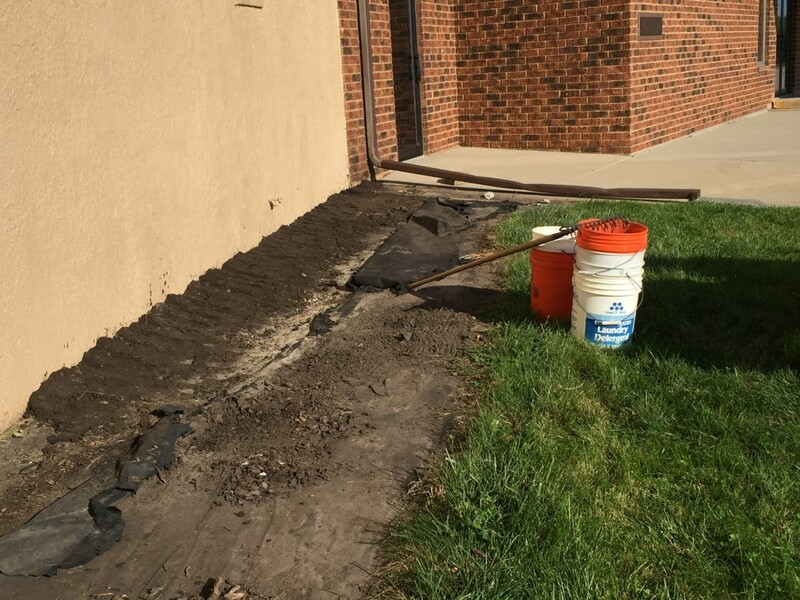 The church was built in 1984, and since that time, the foundation soil level has sunk, causing the pooling of water next to the foundation and the partially submerged basement window wells. 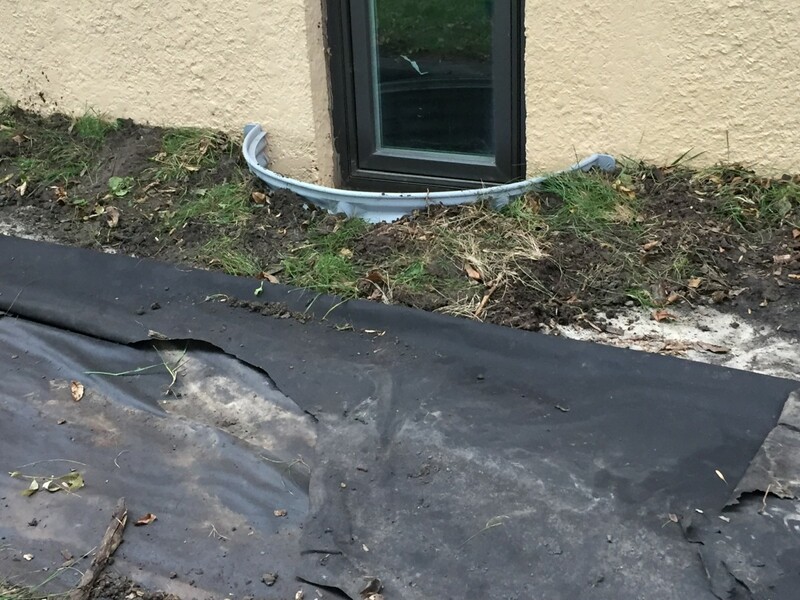 Rainwater was no longer flowing away from the building, but instead, was pooling within the mulched area. 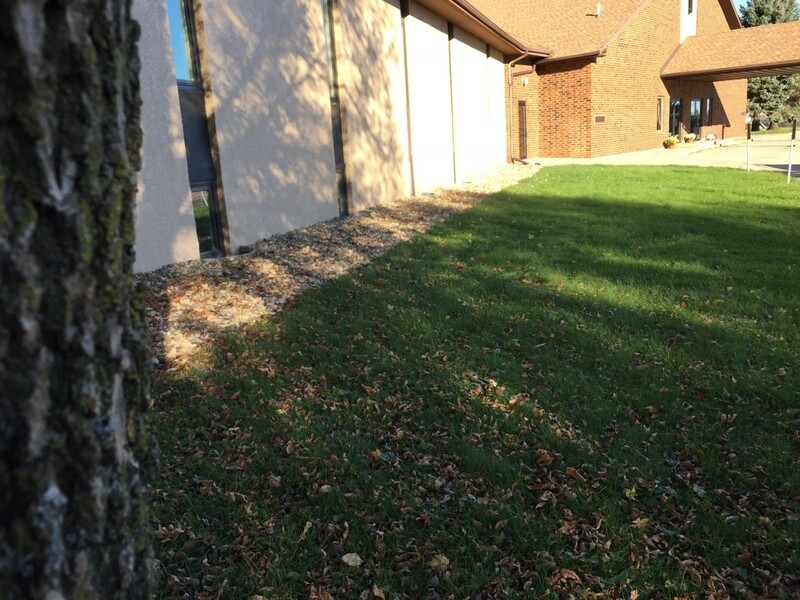 In addition, this area had become unsightly and the church board wanted it rainscaped and remulched with decorative river gravel which would be a more permanent mulch. 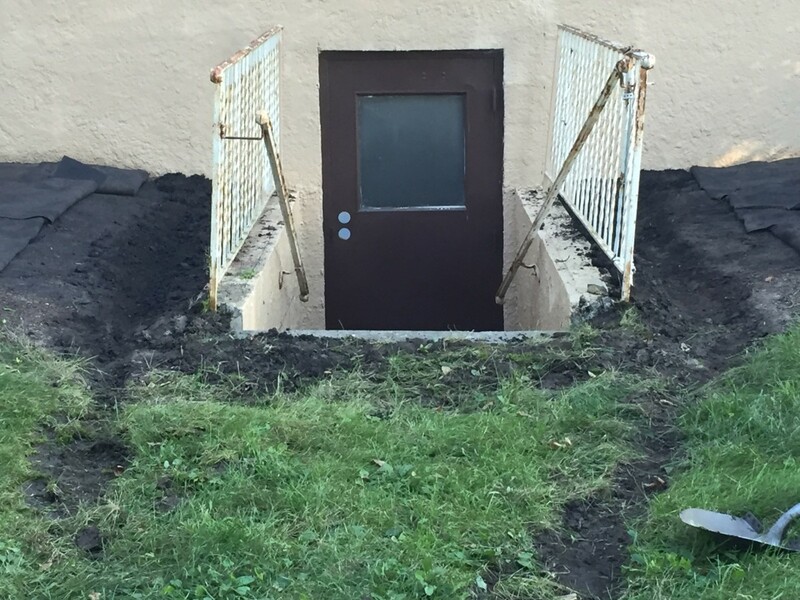 I got heavy topsoil from the Yard Waste Site in Cedar Falls, Iowa. 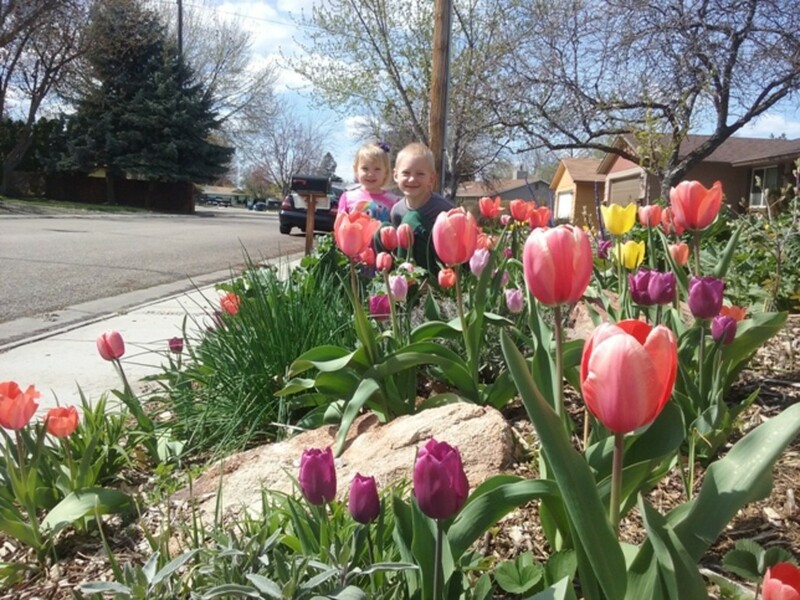 Many towns and cities have these sites for their residents. 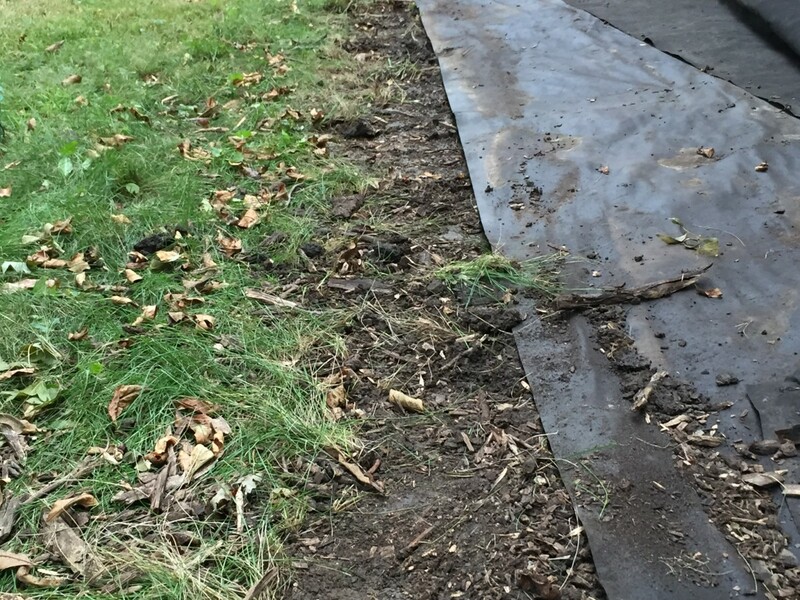 This one has shredded wood mulch, cut logs, compost, and heavy topsoil. 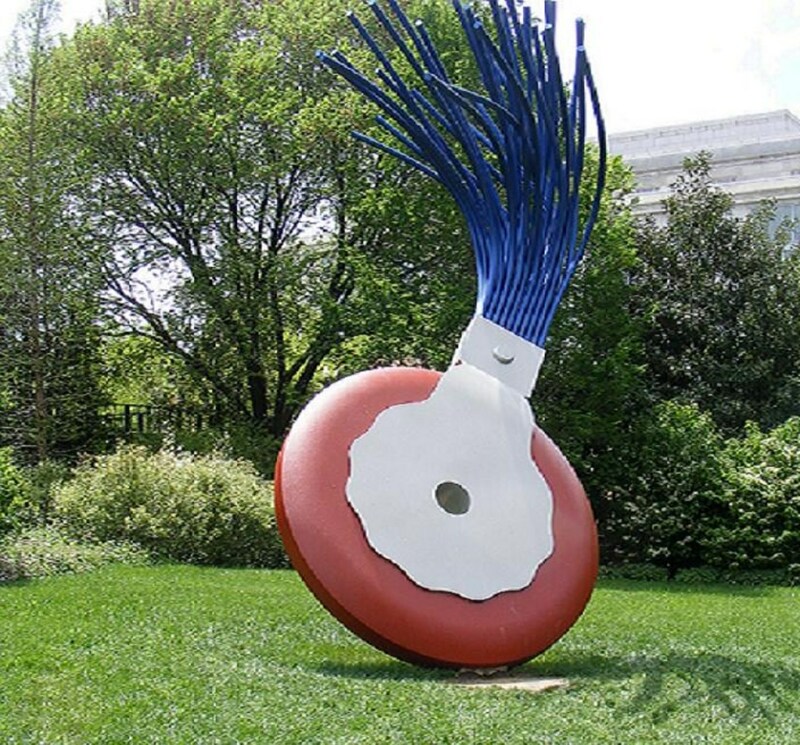 These materials are dropped off by local residents at no charge, and they are free to remove from the site for personal use. 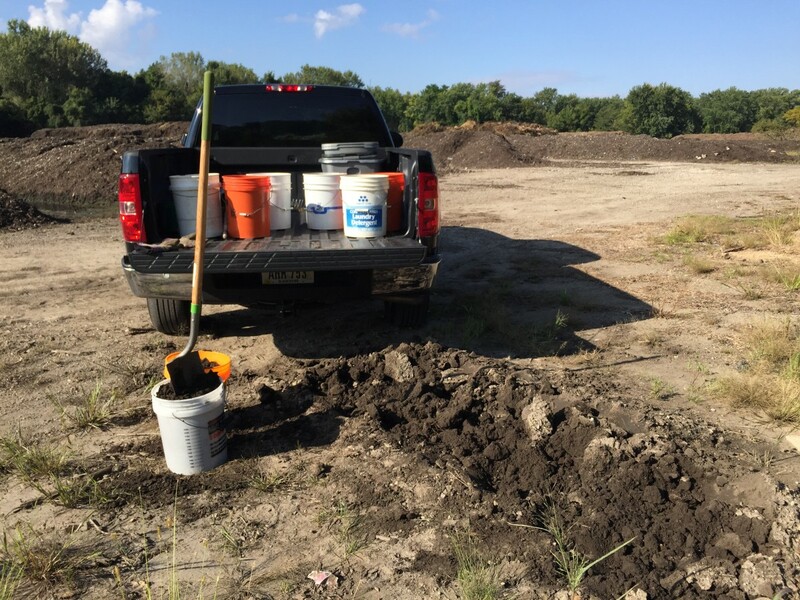 It is important to get heavy topsoil for rainscaping, because compost is loose, light-weight, and will easily wash away during heavy rains. 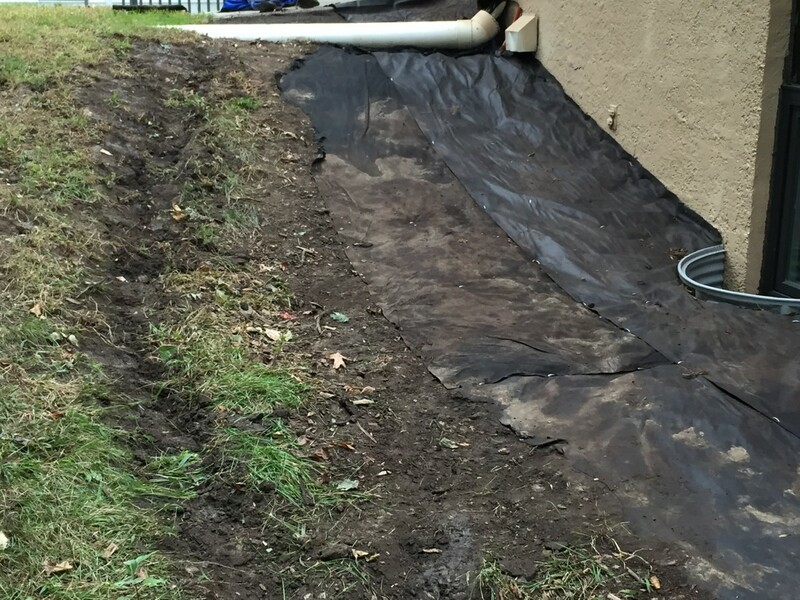 It also packs down too much thereby requiring a lot it to raise the level of soils in sunken areas around buildings. 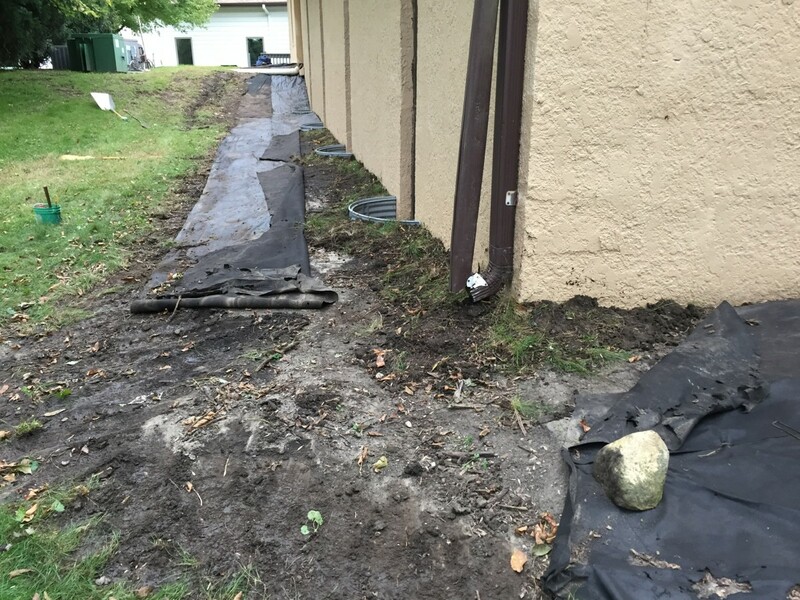 To begin the project, I removed the old shredded mulch and pulled back the old landscape fabric away from the building saving as much of it as possible to reuse. 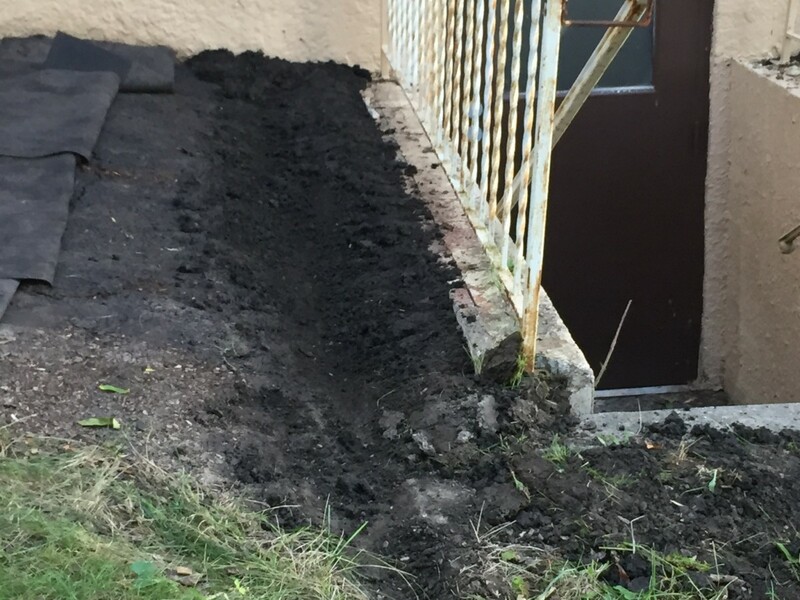 Using heavy topsoil, I raised the soil levels next to the building and around the window wells. 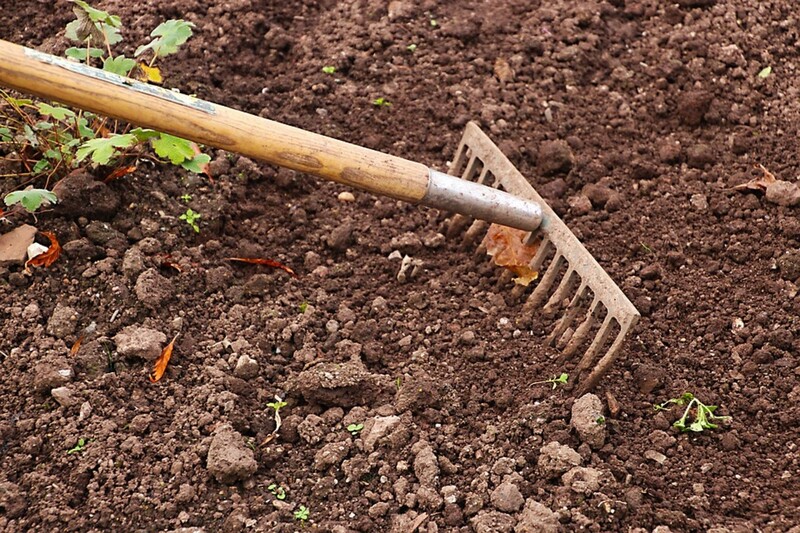 I packed this soil down by stomping on it. 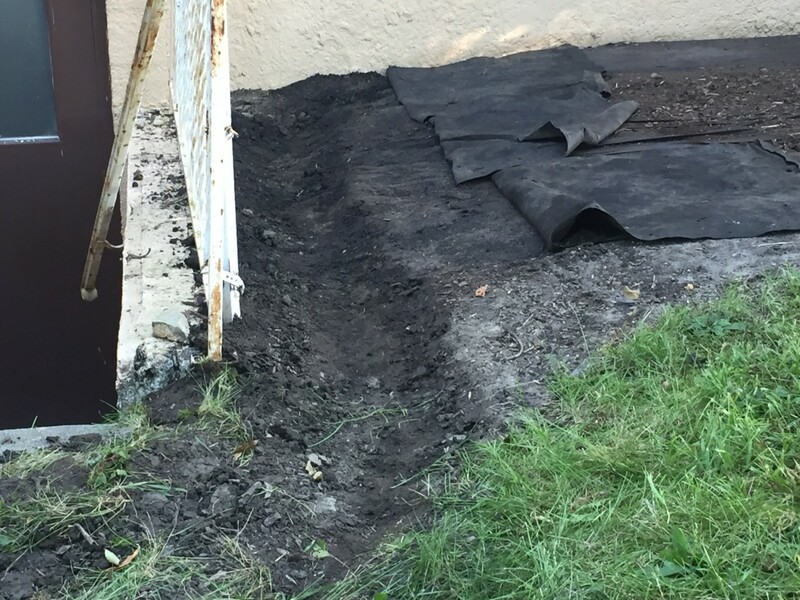 I scooped out high areas of the ground that were causing rainwater to not flow off the landscape fabric and mulch. 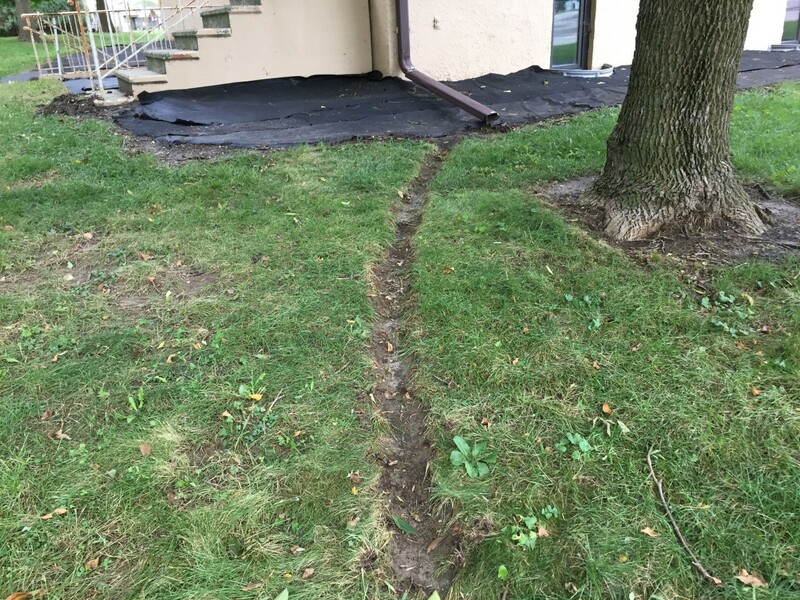 After examining the grade, I marked the natural low areas in the lawn that would lead the pooling rainwater off the mulched area, away from the building, and into the lawn. 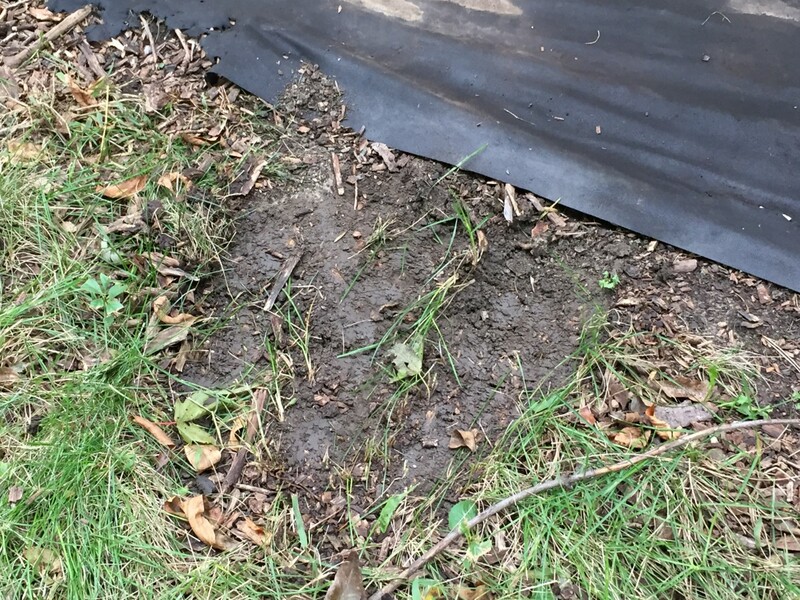 Next, I marked these channels with bright spray paint and then scooped them out with just enough depth to cause water to flow down them, but not so deep as to interfere with lawn mowing. 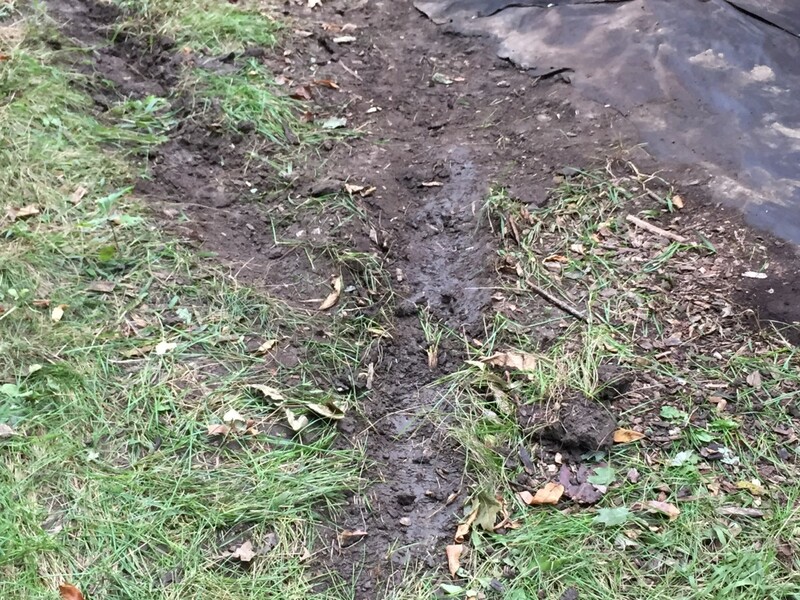 These channels are shallow and will be seeded over with grass seed. 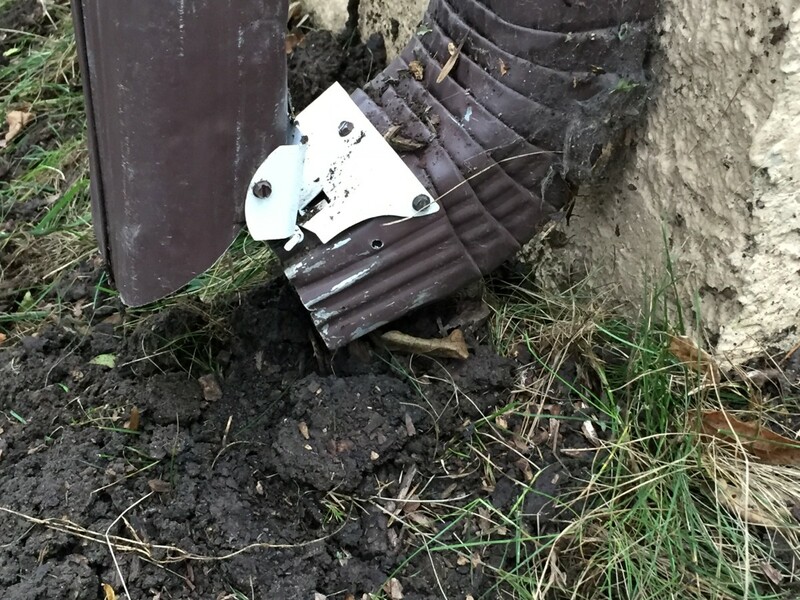 I reset the gutter groundspout higher up on the downspout because it was screwed in too far away from the downspout thereby causing the rainwater to just drop out onto the ground causing erosion and pooling next to the building. 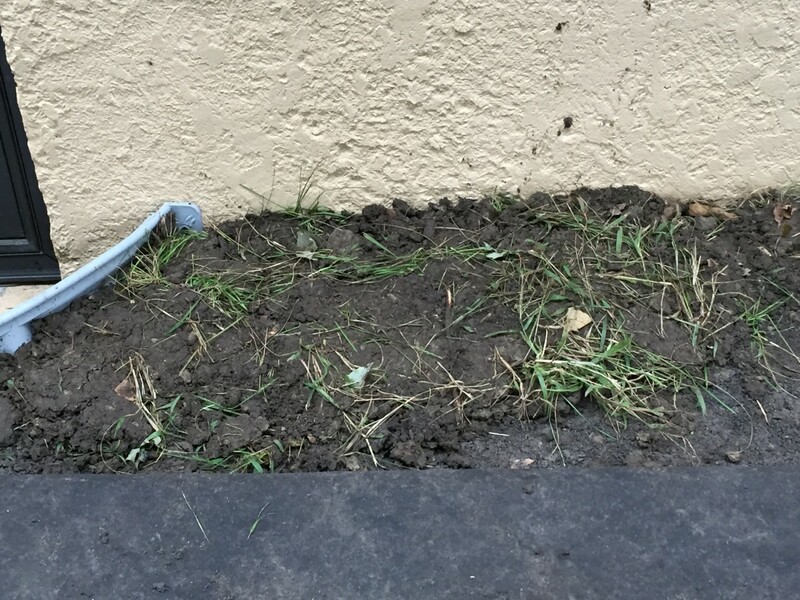 I also added heavy topsoil right under the downspout and gradually sloping toward the lawn which will facilitate water flowing away from the building. The church has two stairwells at the south end. 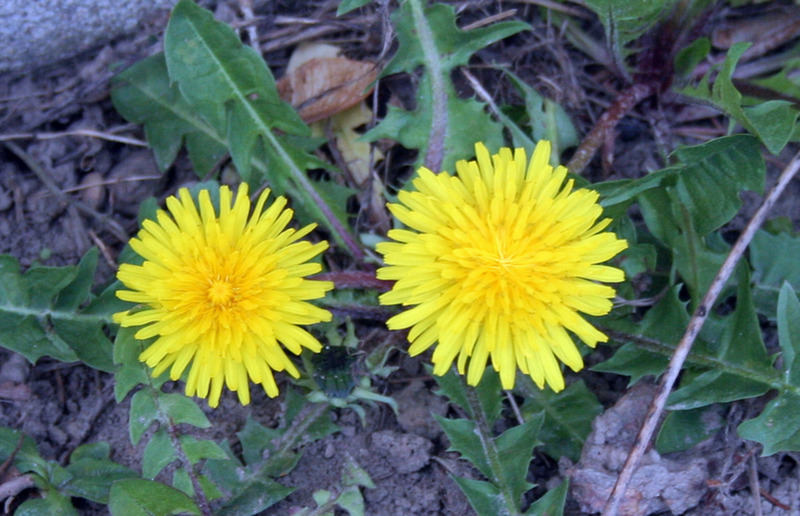 One is below grade and the other is above grade. 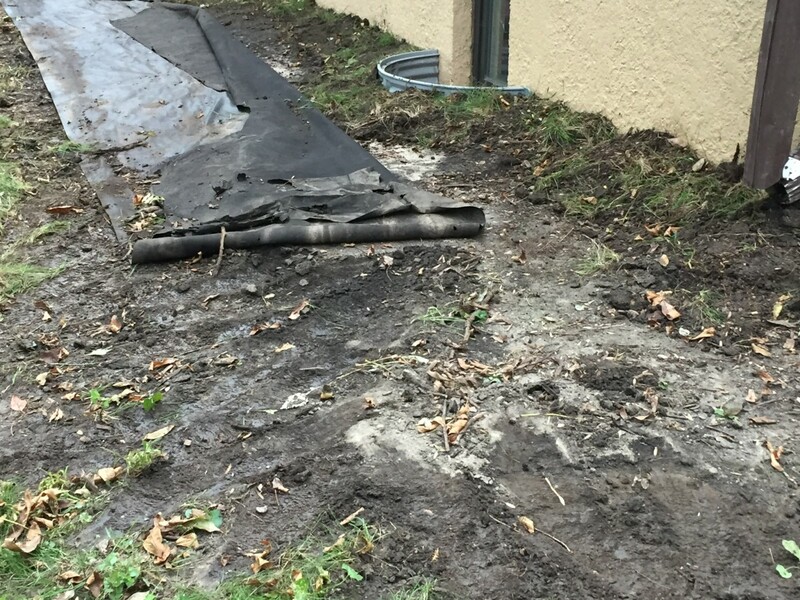 Both have suffered extensive damage due to poor drainage of rainwater away from the building. 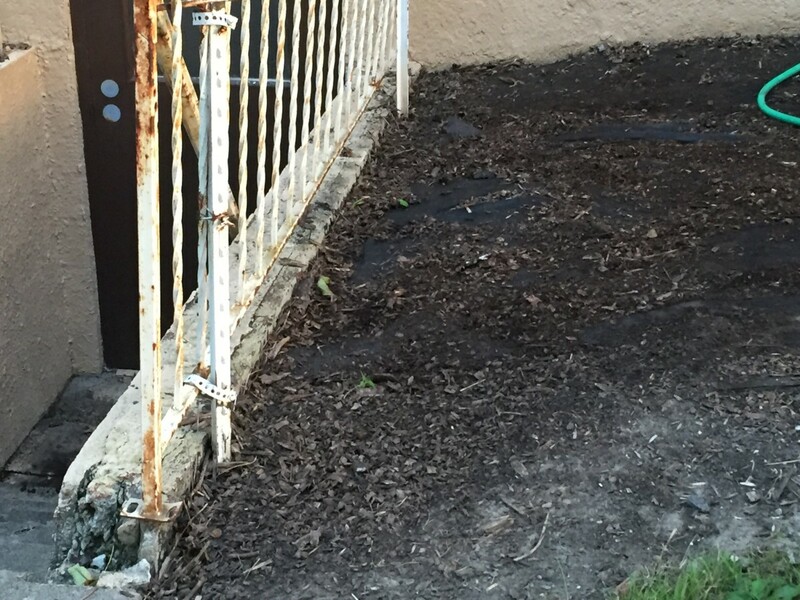 After removing the old shredded wood mulch and pulling off the what remained of the old landscape fabric, I added heavy topsoil close to the foundation wall and the walls of the stairwells to insure water would no longer pool into these areas. 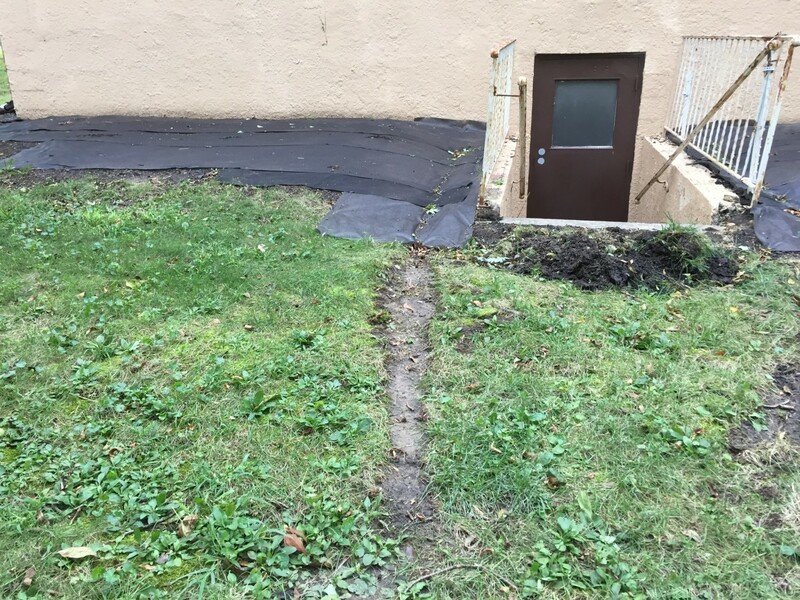 Next, I scooped out channels to direct the flow of rainwater away from the stairwells, the building foundation, and towards the natural low areas in the lawn. 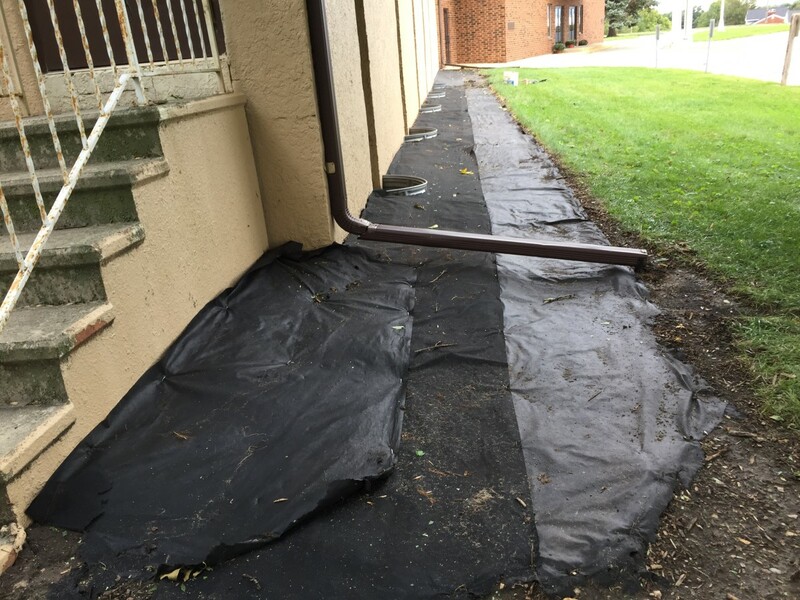 When I was done with the rainscaping, I put down a mulch of landscape fabric that extends about five feet out from the building and overlaps about one foot in the middle using fabric pins set about every three feet in all directions. 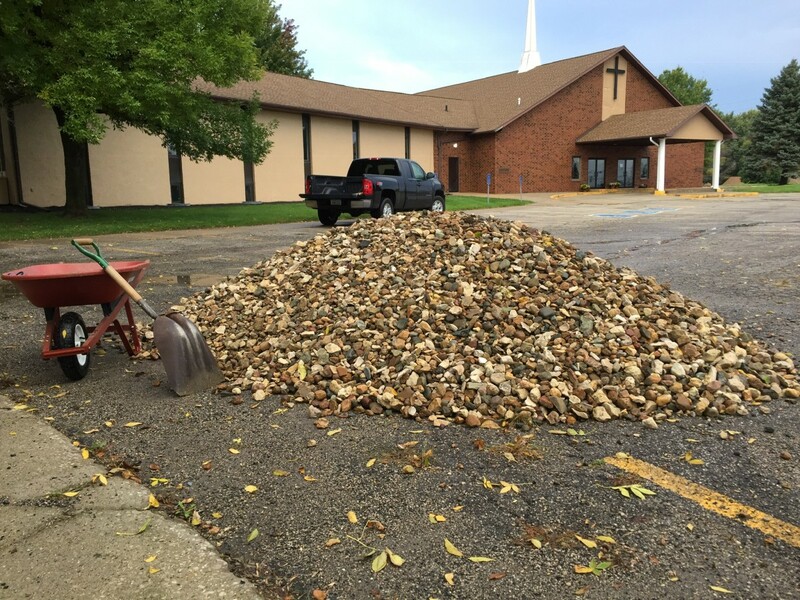 I ordered enough decorative river gravel, about seven tons, to cover the east side of the church landscaped bed 2-3 inches deep in the sloped areas next to the building and 1 1/2-2 inches deep on the flat areas. This area is about 500 square feet. 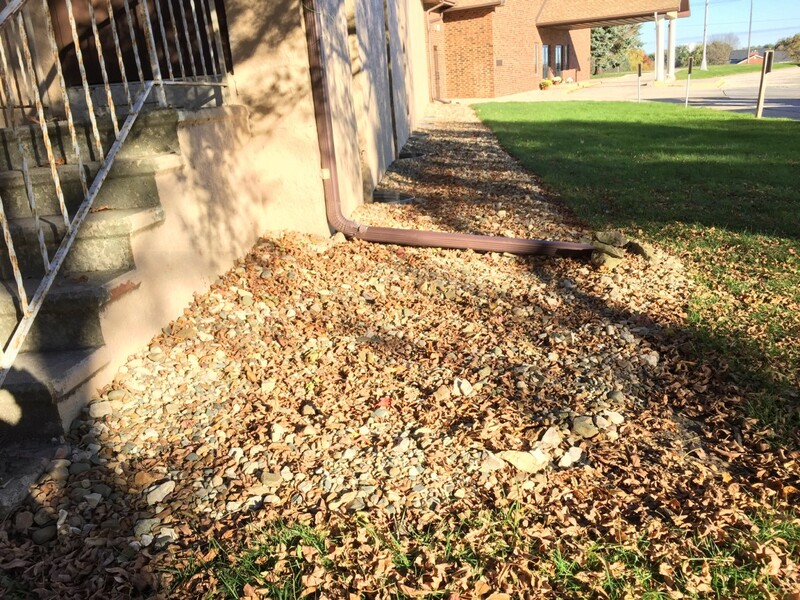 I used the remaining rock to cover only the sloped areas of the south and west sides until I can finish that work in the spring. 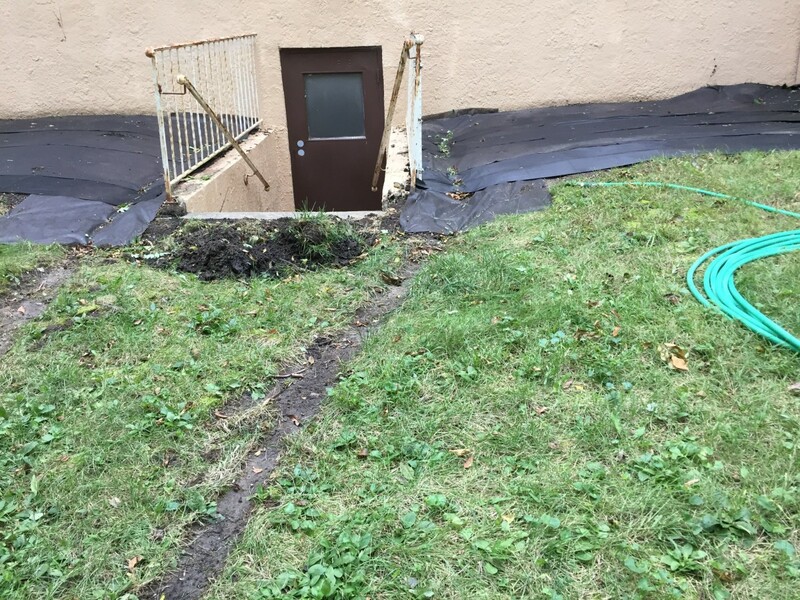 Prior to beginning rainscaping work, I walk around the building and landscape during a heavy rain observing the flow of the rainwater. I note all the problems that I see and make plans for what needs to be done. 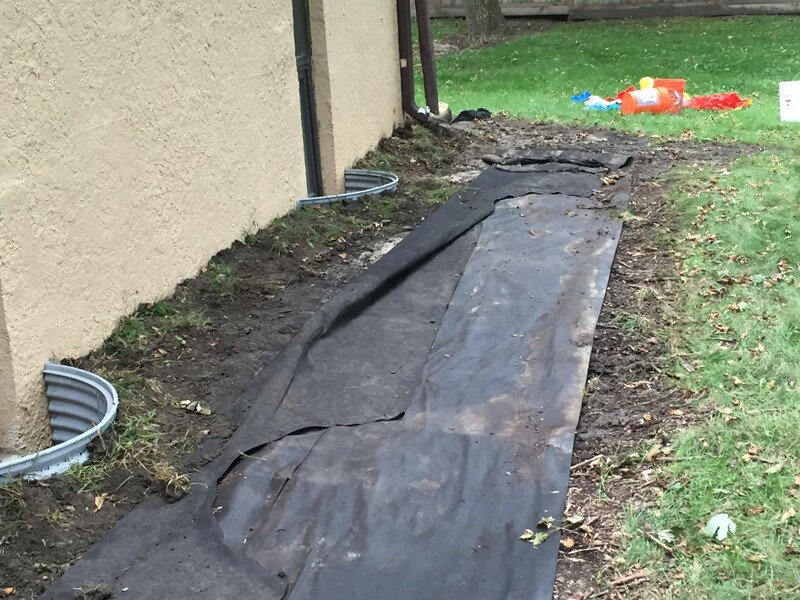 In landscaped areas with few or no plantings, I lay landscape fabric mulch before covering with rock or shredded wood, because it helps to reduce weed growth. 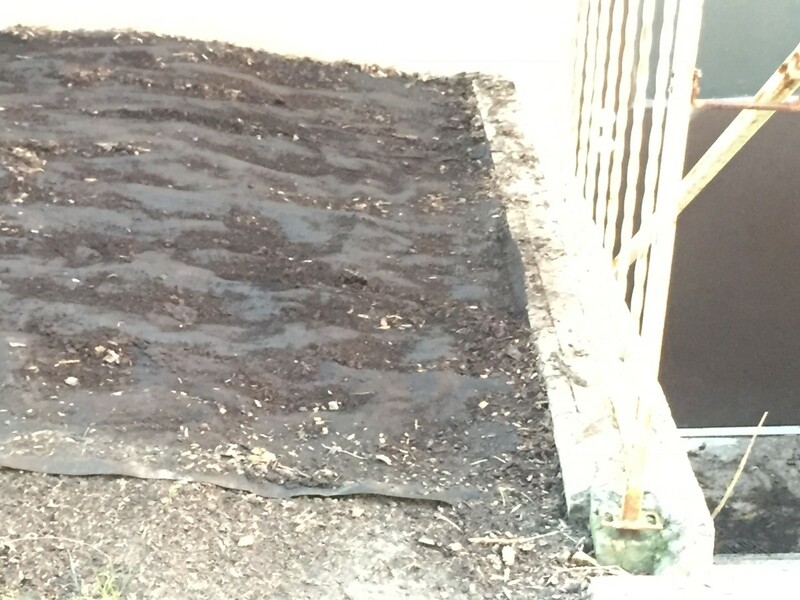 If there are a lot of plantings, I do not use the fabric, because it tends to sour the soil and deprive the plantings from air circulation, water, and nutrients, which are all the benefits of using only shredded wood mulch. 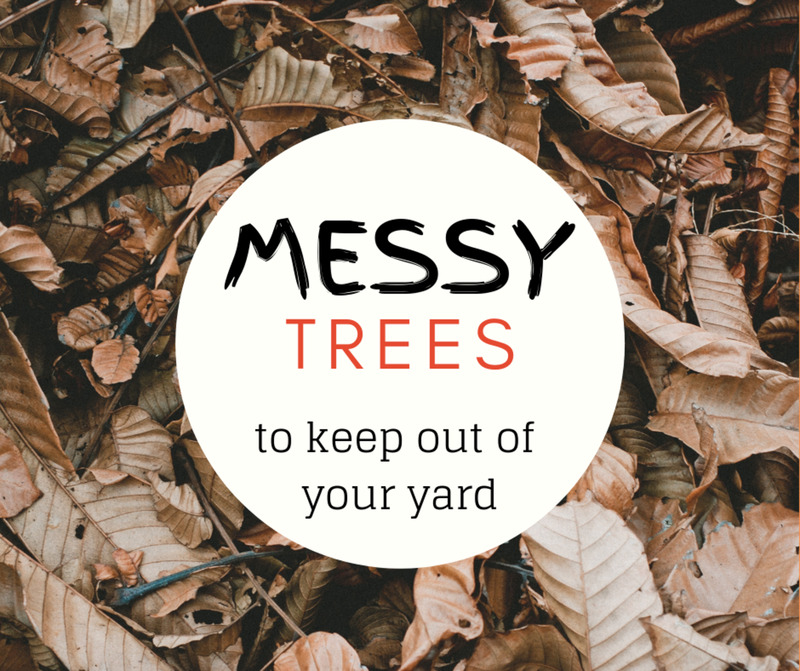 In addition, the wood mulch will keep a plant’s roots cool in hot summers and protected during harsh winters.